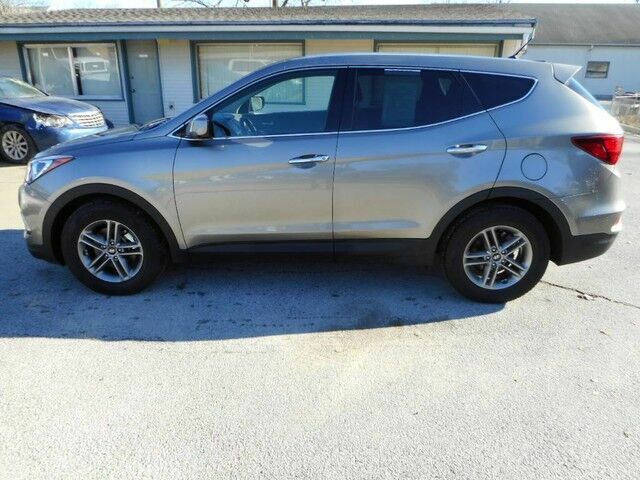 Contact Barrett Auto Center today for information on dozens of vehicles like this 2018 Hyundai Santa Fe Sport 2.4L. Your buying risks are reduced thanks to a CARFAX BuyBack Guarantee. With this exceptional SUV, you'll get "sport," "utility," and comfort. Take home this 2018 Hyundai Santa Fe Sport and enjoy the safety and added performance of AWD. There are many vehicles on the market but if you are looking for a vehicle that will perform as good as it looks then this Hyundai Santa Fe Sport 2.4L is the one!